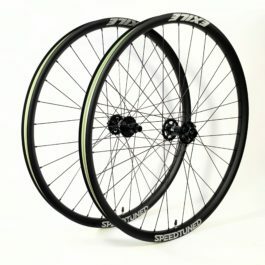 The second generation Exile wheel set has been optimized to offer the next step in aggressive trail and Enduro riding . Not only were we able to increase the inner width of the rim to 30mm we also dropped weight and gained strength in the process. 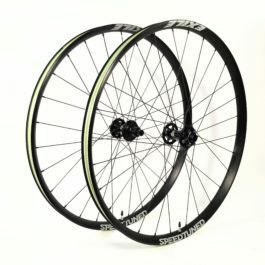 The new Exile rim has a welded joint and an offset spoke bed allowing for a more consistent spoke bracing angle and spoke tension. 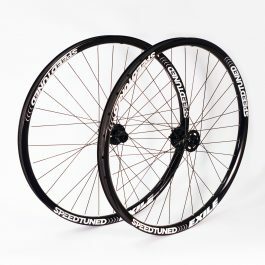 The wheel set is available in both 28 and 32 hole configurations to meet all your riding needs. We feel the Exile is a do it all rim that will provide you with miles of unrelenting thrills and reliability. Try and new set of Exiles today and customize your wheels with our decal color options!